LOS ANGELES, July 2, 2015—Williams Data Management, Southern California’s premier provider of Data Lifecycle Management™ services, recently participated as the presenting sponsor of the 2015 CIO/CTO of the Year Awards, hosted by the Los Angeles Business Journal. This year’s awards program began with the CIO/CTO Awards Reception, and ended with Doug Williams, Chief Executive Officer (CEO) of Williams Data Management, co-presenting the award recognitions at the Los Angeles Downtown Hotel. 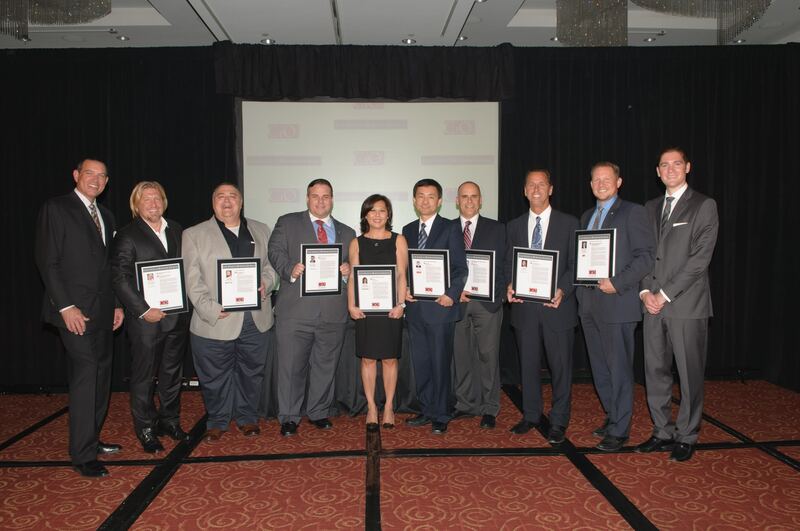 “It was a pleasure and honor to be a Presenting Sponsor of the 2015 CIO/CTO of the Year Awards. The 2015 group of nominees, honorees, finalists, winners, and foremost IT leadership minds, reflect the strength and vitality of the Los Angeles business environment and technology community,” said Williams Data Management, CEO, Douglas Williams. “On behalf of Williams Data Management, we extend our congratulations to the 2015 CIO/CTO awards recipients, their contributions are positively stunning,” he added. Throughout Williams’ experience safeguarding corporate assets through digital preservation, Doug has consistently seen how Los Angeles’ IT leadership and new technological innovation positively impacts the local corporate marketplace. And, with a technological infrastructure that rivals any national provider, it’s Williams’ business intelligence that matches up to high tech professionals, like Karl Chan, President and CTO, Laserfiche, the 2015 CIO/CTO Lifetime Achievement Award winner. Williams’ Data Lifecycle Management™ system provides comprehensive, technology-driven solutions to plan, store, retrieve, and destruct data for businesses of every size. Through business continuity planning, Williams’ risk management consultants align IT and business stakeholders to build a system that ensures the safety, security, and protection of their data, records, and vital information. Williams Data Management specializes in Data Lifecycle Management™, serving businesses throughout Southern California including legal, medical, entertainment, financial services and apparel, including small-to-medium sized companies, who require secure data storage and protection. The company is committed to technology innovation through full-service solutions including physical and digital storage, certified document and hard drive shredding, product destruction, and more. Williams Data Management prides itself on the longevity and leadership the company offers, along with the high standards it adheres to, resulting in best practices across all sectors. The company holds numerous certifications for data compliance and destruction such as SSAE16, NAID “AAA” Certification for mobile hard drive destruction and document destruction, and is a member of PRISM. For more information visit www.williamsdatamanagement.com. Los Angeles Business Journal is the go-to source for in-depth news about Los Angeles business and the people who shape it. Each week, the award-winning editorial team brings LA residents economic news, demographics and lifestyle profiles. The Los Angeles Business Journal is a trusted source for in-depth analyses of the community’s ever-changing business and economic scene. Departments include Up Front, highlighting stories of importance featuring Los Angeles businesses and their decision-makers; Media & Technology, focusing on up-to-the-minute changes and innovations in the businesses that serve these fields; Small Business, profiling those smaller businesses moving into the fore; and Investment and Finance, where L.A.’s many public companies are profiled and analyzed.